CET 2012: Did Itoo leak question papers? The CET 2012 results declared on June 30 have come as a shock to many with aspirants and parents questioning the very credibility of the BOPEE that conducted the test. As reports of middlemen and touts having ‘sold’ the test papers ahead of the examination continue to pour in many aspirants are now seeking a probe. It is a widely believed that one Farooq Ahmad Itoo belonging to village Dari Gund Bijbehara, is the actual broker and tout who is instrumental in the purchase and sale of the question papers. Itoo, who has computer background, is alleged to be close to the present BOPEE chairman. Dozens of angered candidates are complaining that the entire process of selection is mala fide. They have openly challenged the genuineness of the merit list. The allegations appear to carry weight as the list carries names of many with higher ranks whose performance in Matric and +2 exams has remained unsatisfactory and quite below the mark. 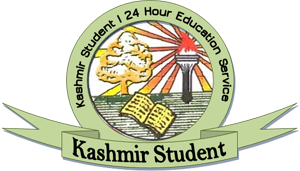 The aspersions are being cast on many successful candidates belonging to South Kashmir as these candidates are otherwise widely known to be underachievers. Reports allege middlemen and touts had put questions papers on sale where the highest bidders benefited the most. That the present chairman of BOPEE is surviving on a two-months extension has added fuel to fire. It is alleged that the extension in the term of the present chairman has a serious connection with those who benefited from the question paper leak racket. The state cabinet had recently appointed Prof R D Sharma, Dean academics, Jammu University as the next chairman of BOPEE, but ironically the present chairman was given extension of two months vide a decision taken in the same cabinet meeting. The delegation of aggrieved candidates have alleged that one Mir Hina Saleem D/o Muhammad Saleem Mir resident of Chee Ananntnag under roll no. 123388 getting 36th rank had previously failed even in her secondary school examination as a regular student, subsequently she passed it in third division as a private candidate and later passed her 12th examination in third attempt. 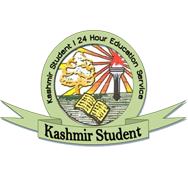 Besides, 4 candidates from and around a single village of Kanelwan, Bijbehara are among the toppers. Rumours are doing the rounds in the village that seats were ‘purchased on payment of hefty sums ranging from 10 to 20 lakhs in each case’. A male candidate from Damhal Ahmad Faraz under roll no. 130256 ranks at 30th slot and a female candidate Amira Shakeel from Mahen ranks at 25th under no. 122222 despite the fact that both are career under achievers. Another ‘successful candidate’ Mir Wajid Majid under roll no. 131184 who secured first rank in CET 2012 is looked upon with suspicion as his sister Mir Danish Majid with 17th rank, his cousin Sadam Farooq from Munghal village of Anantnag ranking 5th is reportedly connected with a network of two more candidates Hovura Zahoor having 111 rank and Sheikh Bargees Ismail having 36th rank are alleged to have also benefitted from the racket. It must be mentioned that in 2003 also there was a question paper leak in connection with MD entrance test and the BOPEE had cancelled the results after the racket came to light. In CET 2012 there were many wrong questions and the BOPEE had sought representations from the candidates. Candidates represented in case of ten to fifteen questions in different subjects but the BOPEE instead of publishing the revised key decided to hide its earlier declared key from its website making the entire process of seeking representations and correcting wrong published keys as dubious and suspicious. The candidates are demanding that an impartial probe be ordered into the CET 2012 list by the state government. They have also appealed to the state High Court to take suo motto cognizance of the allegations and have the entire racket looked into calling records from the BOPEE to verify the veracity of the allegations.